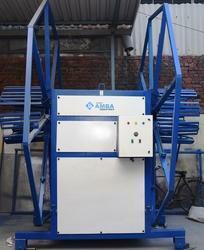 We are a leading Manufacturer of pipe winding machine and hdpe pipe coiler machine from Ahmedabad, India. We are one of the prominent names to offer a wide array of Pipe Winding Machine that is used for manufacturing different shapes, size, dimensions, and length of pipes. The offered spectrum of the machine is manufactured from optimum grade quality fabrication material and advanced methods of production under the assistance of highly experienced professionals. These products are strictly designed as per the predefined quality control measures that are why ensuring high quality. 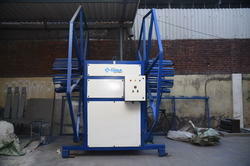 We are one of the prominent names to offer a wide array of Pipe Coiling Machine that is used for manufacturing different shapes, size, dimensions, and length of pipes. The offered spectrum of the machine is manufactured from optimum grade quality fabrication material and advanced methods of production under the assistance of highly experienced professionals. These products are strictly designed as per the predefined quality control measures that are why ensuring high quality.